in short, what makes us so unique ! 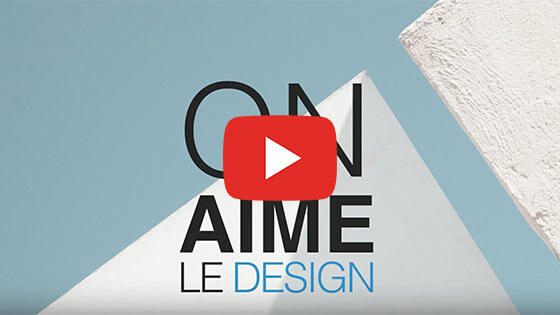 Our desire is to democratize the design by offering unique products : specific creation by talented designers exclusively for Le point D at affordable prices. But we are going further ! We invite you to customize your product using our interactive 3D configurator: the colour, finish and material in order for you to have a bespoke personal product, YOUR creation. And as you will see, thanks to our online 3D configurator, it's a piece of cake ! Moreover, for some of our designs, you can participate in the production of your item by going in to a Fab Lab (fabrication laboratory). Advised by the Fab Manager, you attend the creation of the elements and realize their assembly. A unique experience ! "An uninhibited, customizable and accessible design !" Le point D at Your Service ! Le point D it is also fully individualized services. Trouble to imagine by yourself ? We are here to support you in your project development/decoration for your interior. Get advice from an online decorator : send them your question (contact@lepointd.com), he will answer you as soon as possible ! Thanks to our online 3D configurator, discover your furniture with the finish you have selected: colors and materials - it's so much easier to get an idea and to make the right choice ! RDV on each product sheet and click on: "Looking for more choices ?" With our augmented reality app (available on Apple Store and Android Play Store), preview your future furniture in your home ! Live viewing in 3D of your furniture through the screen of your smartphone or tablet. You will be able to validate the dimensions and the personalization you have chosen. So practical and simple !